Many priests in our Diocese, who have dedicated their lives ministering to the faithful, are approaching retirement age or are already drawing retirement benefits. Normally retiring at the age of 75, some of these men will continue to assist parishes on a regular basis, while others require assisted living or nursing home care. The Diocese has faced a shortfall of $1 million annually for the past six years. In the next decade, there will be approximately 60 priests, now in active ministry, who will be eligible for retirement. It is crucial that we address the rising costs associated with dignified care for our priests. 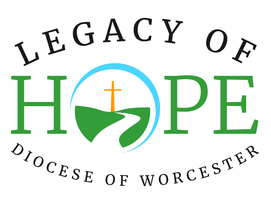 The Legacy of Hope campaign seeks to expand the current Priests’ Retirement Endowment by approximately $12 million. On average, the Diocese of Worcester has 55-60 priests receiving care and support from the Priests’ Retirement Endowment.